I was inspired in writing this after I mentioned The Intercept (see below) to such a centrist friend. He, predictably, hadn’t heard of it. Given the two-different-media-worlds problem out there, I’ve decided to compile a modest list of a few of what I consider reliable sources. Let us begin. One good go-to place is The Intercept. The latest episode of the podcast produced by the people at The Intercept, called Intercepted, begins with a very funny parody of Trump, then moves to a not-funny rundown on some of the horrible people in his cabinet and coterie. Sad! 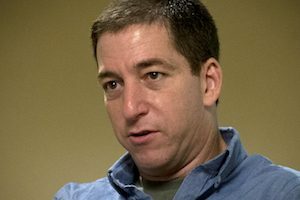 There is reliable reporting consistently available from The Intercept’s Glenn Greenwald and Jeremy Scahill. Another good source is Tom Englehardt. He, of TomDispatch fame, recently wrote an article raising concerns about the looting of our pockets that’s likely to occur under the Trump presidency, This looting, he writes, really hasn’t even started yet. Democracy Now, available in audio and video from a web page, via podcast, and locally on community radio station KGNU 88.5 FM at 7 AM weekdays. Whew! That’s done. I feel so much better knowing that some of you will add at least some of these great providers to your media mix. Prefer to cruise the news from a content aggregator? The newly redesigned Flipboard is an up-and-coming aggregator/curator. To use it, you just set up a free account. Walt Mossberg, the esteemed technology columnist and podcaster, wrote approvingly about the newly redesigned Flipboard this week (print version here; discussion on his tech-oriented podcast here). I should also mention news.google.com as a customizable aggregator that some people swear by. Another powerful one is bloomberg.com, whose great content aggregation is available at no cost (there’s also a free iPhone app). And now, back to the centrist friend I mentioned at the outset. Oh, so not-fun hearing his not-reassuring patter about how gosh-golly the U.S. and many other countries have had psychologically troubled rulers in the past and somehow survived. In short, it’s going to be O.K. in the end. Nope. It’s not going to be O.K. Unless we resist. And even that could go either way. History’s funny that way. NOTE: You’re right, Boulder Reporter has been inactive. At this point, we’re too distracted by national news, which others are covering extensively, while still lacking a business model for local investigative reporting. Sorry.